For a perfect complexion the dehydrated facial skin needs an extra boost of intensive care and repair. Douceur Riche contains plant lipids, phytosterols combined with panthenol, medical white oil and Vitamin E for incomparable balancing of dry and sensitive skin. 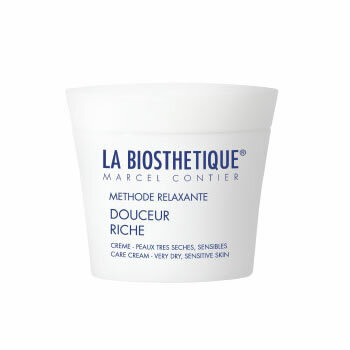 After care with Douceur Riche, dry, sensitive skin is extremely relaxed and calm. Skin-related substances have an active anti-irritant effect. The barrier layer is strengthened. The skin is intensively supplied with moisture and given a radiant new glow.